It didn’t start out like this. Or maybe it did, because when someone’s hot you’re just more forgiving in the beginning (Yes…I also don’t like this joke…but it’s just too obvious to not include). In the beginning, I was so excited to achieve higher stocking densities so I could get the amazing regenerative results that were on everyone’s PowerPoints at the conferences that I just didn’t care about TE Fence’s quirks. When serious weather soaked the ground and blew over reels and posts so that the animals spread out over the whole ranch, I wasn’t fazed. When stomping foot pedals into hard summer dirt caused repetitive injury, and eventually knee surgery—no problem. Having trouble getting a ground return in the dry season and having to put up two lines instead of one, all good…small price to pay for getting some Jurassic Park grass back on this landscape. Whenever TE Fence failed me, I asked myself how I was failing it. I saw it as an opportunity to get better at using the right materials, designs, tricks for corners, more effective ATV support gear, double winders etc. I had this weird nagging feeling that I was drifting from my purpose though. I got into a relationship with TE Fence because of what it could help me achieve ecologically. It promised more native perennial grasses, better utilization, and apparently a “ranch on top of my ranch” if I played my planning cards right. They say necessity is the mother of invention. While I have yet to invent anything, I still believe this is true. When we started using TE Fence we had a few properties no bigger than 400 acres with elevation changes of less than 150 feet and were not as focused on the bottom line. As time passed, we acquired more leases for restoration and the properties grew to 1500 acres, with elevation changes of 1200 feet and thicker brush; and now we have kids to feed. I’ll never forget the first time my business partners and I viewed one of these ranches for the first time and asked one another, “how the hell are we going to do this with temporary fence?” The short answer is, we weren’t. We spent about a year on a new, larger lease that had more aggressive terrain and we still used TE Fence. We spent so much time setting up and taking down fence we couldn’t actually do the things we loved to do: observe, reflect, and get a little frolicking in. There has always got to be some room for frolicking. We knew we had to change the way we were using infrastructure. We made the choice to install a permanent all-fiberglass electric fence system with the support of the land owner on that lease. From that moment on everything changed in our operation. All of a sudden, the cows were only “out” a few times a year. The permanent fence didn’t blow down with horrible weather. Fence corners did not collapse and training new cattle was a breeze. We still used TE Fence, but it was to subdivide larger permanent electric pastures and the lines were straight and strong. Moving to a more powerful energizer that was running on 110 volts and had 36 joules of energy made dealing with solar and battery issues a thing of the past. We started to realize just how much time we had been spending setting up and taking down TE Fence. We now had more of that time back. With more time, we were able to acquire four things: 1) perspective, 2) scale, 3) better management and 4) a higher quality of life. With more time we were able to work more on the business (WOTB) and less time working in the business (WITB). This WOTB allowed us to focus on scaling appropriately. We now had time to make those landowner calls, attend meetings, and negotiate new leases. With our new fence systems, we could actually onboard bigger properties where temporary fence was truly not a viable option and still have an effective management system. We also installed these permanent fence systems on our smaller ranches which made achieving density and rest all the more effective. Lastly and more importantly, moving to permanent electric systems allowed us an improved quality of life. It has allowed for more time for smelling the roses, looking at vegetation, digging into our monitoring data and asking good questions. It has allowed us to have more time with family, slow our pace, and enjoy our work. It has allowed us to actually do the work we like doing. I would guess that the majority of outfits in the United States do not use temporary electric fence. It’s really a non-issue most of the time when you start talking forest service and BLM contracts. However, I’m willing to bet all outfits have something in their operation that is their “temporary electric fence”—some piece of infrastructure that ends up eating more time from you then you intended. Maybe it’s skills we need to brush up on like better stockmanship for range riders, or project management so we don’t spend 45 minutes looking for “that damn paper” every time we dig through our desk. Byron Palmer is the CEO of Grounded Land and Livestock. Find him on Instagram @groundedgrassfed. 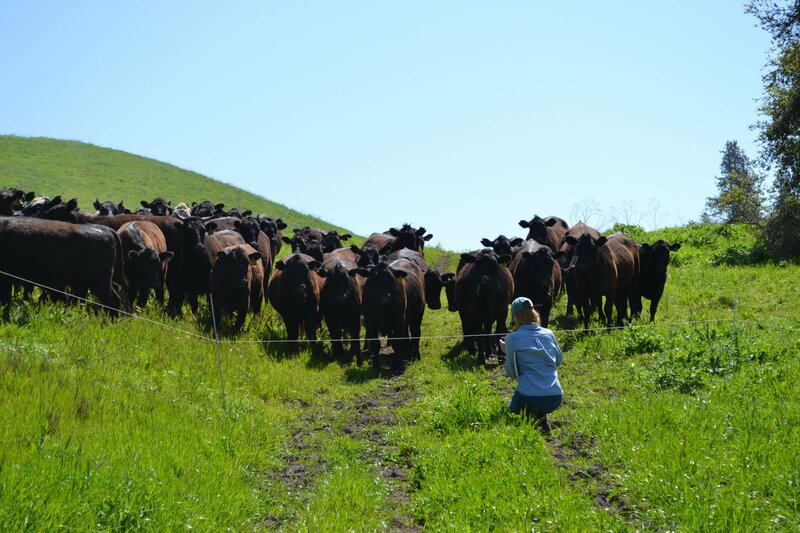 Profitable ranchers are critical to healthy grasslands. Maybe Vencing will solve some of these issues. Virtual Fence combined with a product like Pasture Map might have the potential to revolutionize how we do things. Early on, but seems like there is some hope.